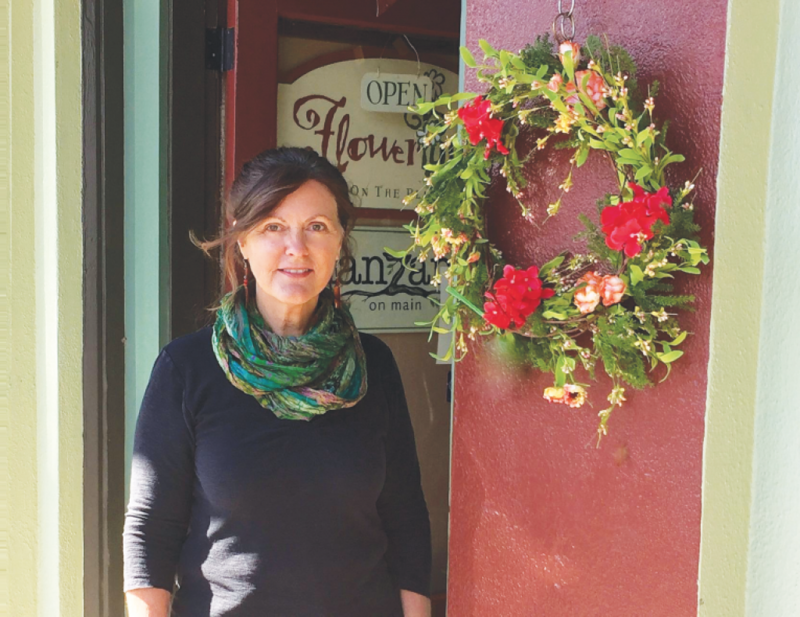 Celebrating her 36th year in business in downtown Ashland, florist and retailer, LouAnn David, is excited to bring us up to date on the rebranding of her flower shop, FlowerTyme, into its current identity as Manzanita home+flowers+gifts. 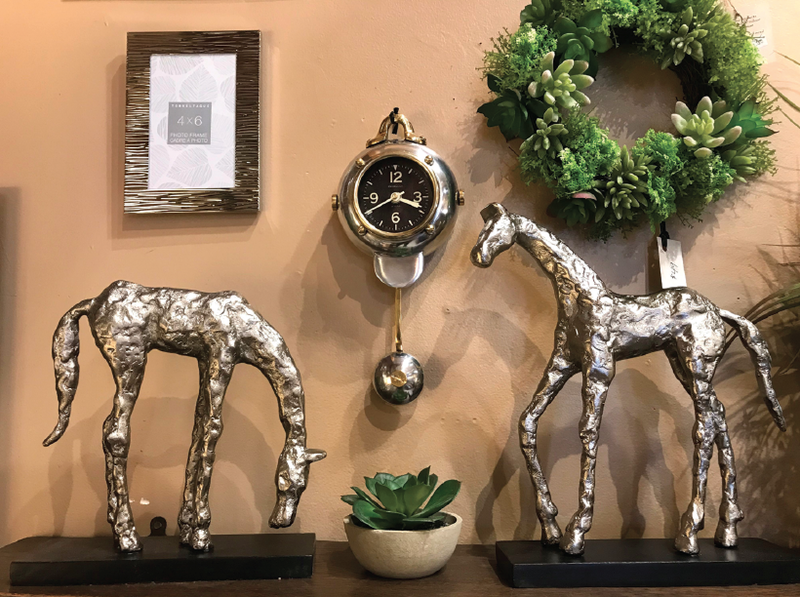 Located at 55 N. Main Street on the plaza, this shop remains at the top of shoppers’ lists of favorite places to check out for decorating inspiration, finding that unique gift, and, of course, to stop and smell the roses. Hi, LouAnn. Thanks for taking the time to talk with us today. It has been one year now since you combined your two shops, Flower Thyme and Manzanita on Main. How has the past year been for you? Exciting! This year has flown by! Combining my two shops into the new Manzanita home+flowers+gifts has been such a gratifying experience! The response has been nothing but positive. This new version of my 36-year-old shop has definitely re-energized me. I am curious about your thought process in deciding to rebrand your shop with a new name. Can you explain your decision to let go of the name, Flower Thyme? Sure! Many of my long-time customers have asked me the same question. When we opened Flower Thyme in 1982, it was primarily a full service florist with a limited selection of gifts and decor. Over the years as I expanded the gift and home decor aspect of my shop, having the name Flower Thyme became limiting to that side of the business which had grown tremendously. I would hear shoppers as they saw the name on the door and peered in from the sidewalk say, “Oh, its a flower shop… I don’t need flowers today”, and walk on without discovering all the treasures inside. 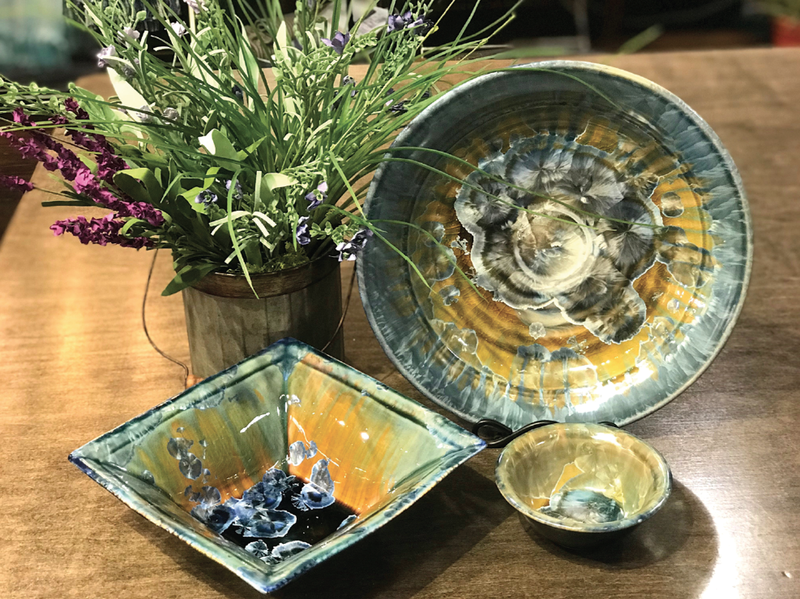 The new name, Manzanita, taken from the home decor shop I opened in 2013 across the street, is still organic by nature, and evokes a naturally artistic image and is intriguing enough to bring in new customers. The newly remodeled shop is now a blend of the merchandise of both shops and now has a new look being much more open with better natural light and a rich, warm color palette. But, of course, we will still answer to the name, Flower Thyme to those who have a hard time letting it go! We are developing a new website that will reflect the changes in the shop and the rebranding. 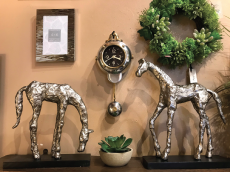 What are some of your favorite new gift and decor lines that you have introduced into Manzanita for this season? 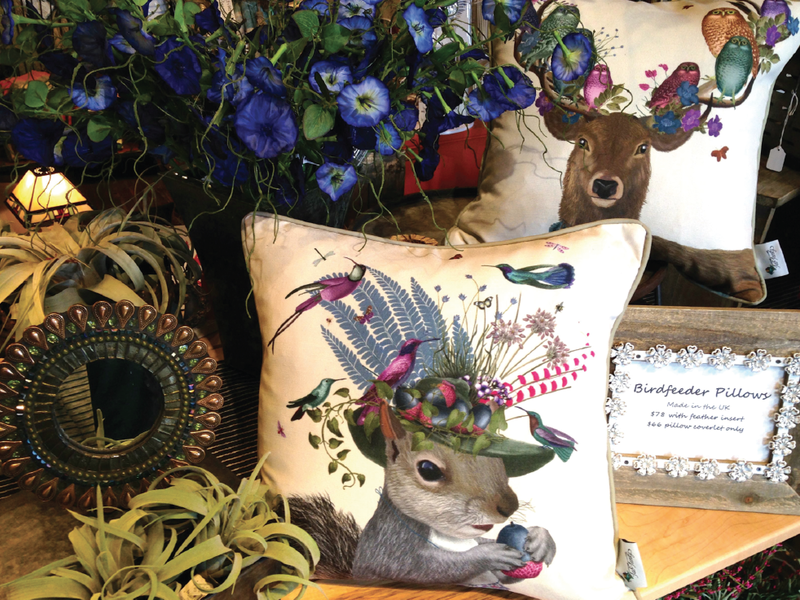 I am especially in love with our new feather-filled accent pillows designed by a spunky artist from the UK. Her “birdkeeper” series of art has been reproduced on cotton pillow covers and feature five different animals with birds making nests on their heads. So fanciful! And her use of color is extraordinary! I also am excited about our new wall art… two designs of metal trees are especially nice and make an impressive statement. 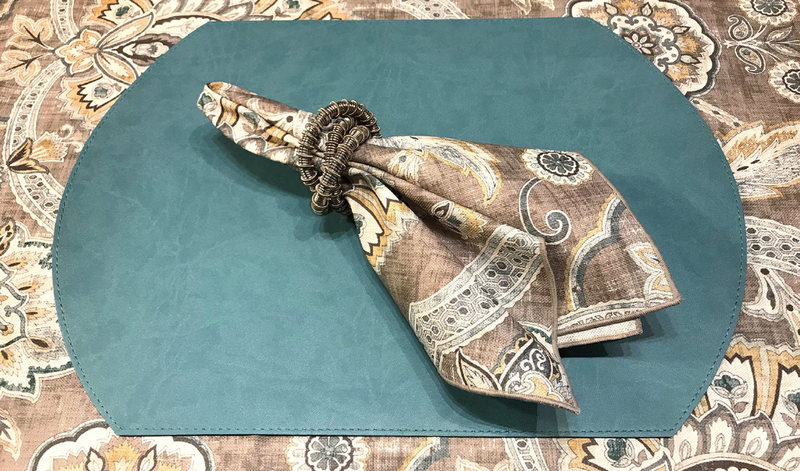 Our new line of reversible placemats, table runners, and napkins designed by Karen Lee Ballard bring a splash of color onto a table and nature into your home with modern floral motifs… a great pop of color for rooms decorated in neutral grays and browns. New merchandise is arriving weekly…. lamps, clocks, and new lines of jewelry… so much fun! And we just received a new order of our popular Campbell pottery from Pennsylvania that our customers fell in love with at the original Manzanita on Main. What have you kept in your store that your customers expect to see after so many years of it being Flower Thyme? Well, the fresh and faux flowers and plants, of course! We are still a full-service florist and make daily flower deliveries. And we have a loyal following of our greeting cards, so we certainly kept those! Also, we still keep a large selection of Firefly jewelry from Guatemala. You can still see the playful side of our shop that is the Flower Thyme influence. LouAnn, you have been fortunate to maintain many long-term relationships with your customers. What has been the secret to your success? My staff and I recognize that we wouldn’t be here without our customers, so assuring our customers a positive, inspiring, and pleasant experience while in our shop is our priority. We all enjoy interacting with the many people who come in to browse, and we do our best to help our customers select the right flowers and gifts and guide them in solving decorating challenges. Your staff plays an important part in your success story. Can you introduce them to us? I’d love to! Lisa Bennet and Misty Stone are my talented co-floral designers who allow me to have time away from the design bench to be with my family and significant other, Jordan Parker. They, along with Kate Boss and Amy Hoffmeister are essential to keeping the shop well stocked with merchandise, providing friendly customer service both in the shop and over the phone taking flower orders, and they keep the shop looking clean and organized. I am grateful for them every day for their positive attitudes and hard work, and I love spending my days with each one of these amazing women! How do you foresee the coming season? Are you expecting a busy one? Based on the first few months of this year, I am expecting a fun and busy year. The play list for OSF looks to be strong, and I look forward to visiting with past customers who are in town for the plays and meeting new ones. My business stays strong clear through the Christmas season with local shoppers, and my staff and I are excited and ready for a busy year. I invite all to come in and say hello and see what new surprises we have in store. Thank you to all of my loyal customers for making the past 36 years of my life fulfilling. I’m happy to be able to keep growing!